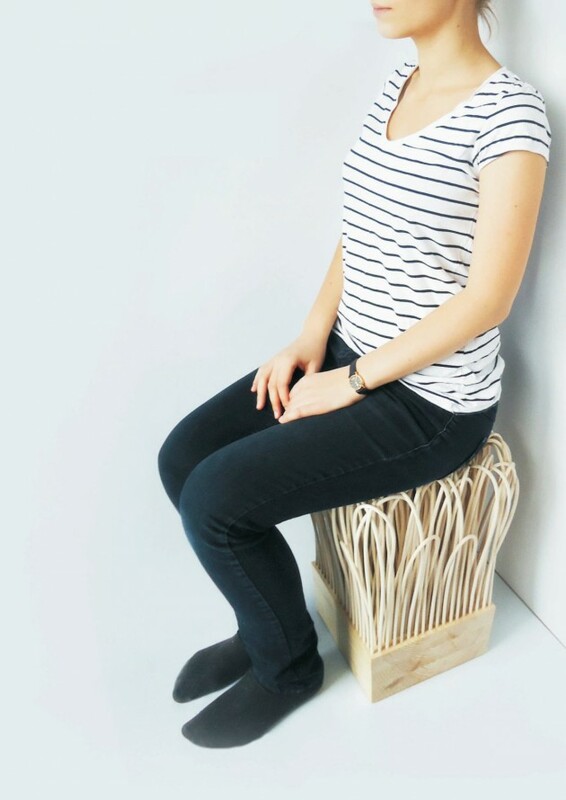 Polish designer Wiktoria Szawiel has created the Rattatan Stool. 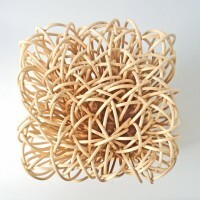 Rattan is a material that usually is associated with baskets or rattan furniture for which it is commonly used. 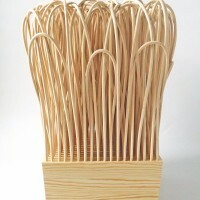 In this project rattan was used for the same purpose – creating a stool, but in a totally different way then usually. 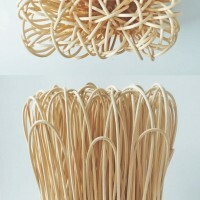 The effect is unexpectedly different in comparison to regular rattan weaving technique. 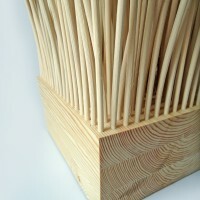 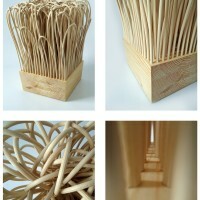 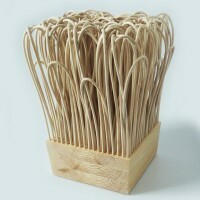 The part of the stool that is made with rattan sticks weights less then 1 kg, because the sticks are extremely light. 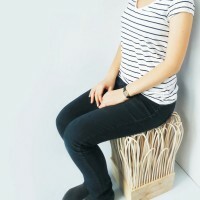 One rattan stick is not able to hold human body, but more of them together, connected in a certain way create funny and comfortable stool.